Digital Department return to 19BOX RECORDING with an awesome original track. Many of you will recognize Digital Department from his previous work as a remixer of Definition Of Affranchise on 19BOX RECORDINGS. 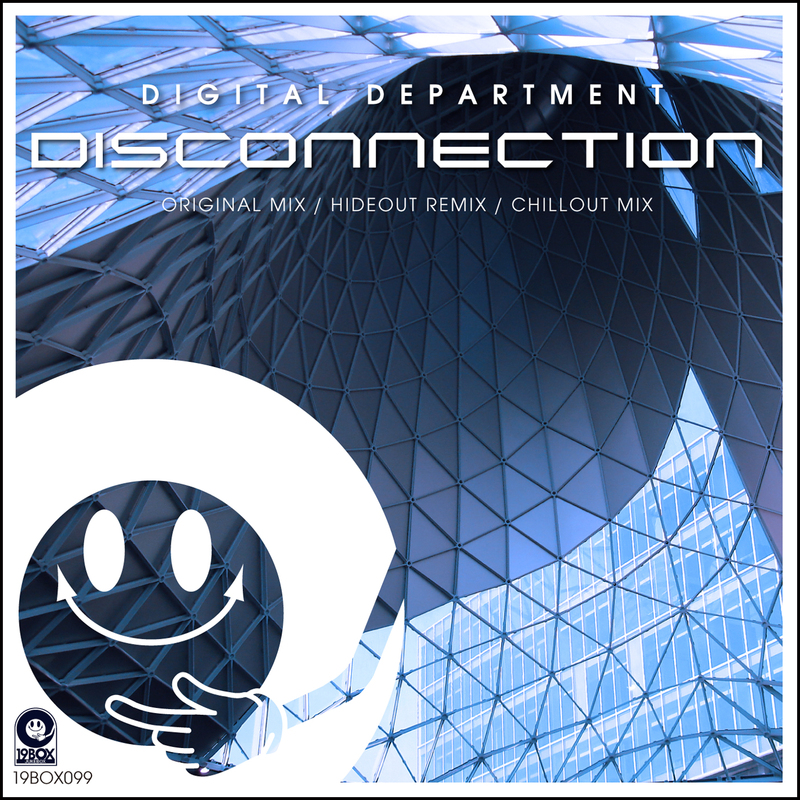 His current release 'Disconnection' takes influence from classic progressive house sounds of yore like Breeder. And he has also included a Chillout Mix to add to the package. Filling out the remix package, Hideout (the other half of Hot Station) provides his trademarked sound with old school house piano stabs and a funky synth and bassline that holds it all together. Stay tuned for 19BOX RECORDING turning 100! DJ 19 / DID I FALL ASLEEP? Digital Department return to 19BOX RECORDING with an awesome original track. Originally from Russia, Arseniy Somotov started Digital Department project in 2009 and has been producing progressive house and breaks ever since. As a result of his interest in these genres, he also runs a label called WELCOME MUSIC that holds a music policy similar to what the label name suggests. Many of you will recognize Digital Department from his previous work as a remixer of Definition Of Affranchise on 19BOX RECORDINGS. His current release 'Disconnection' takes influence from classic progressive house sounds of yore like Breeder. And he has also included a Chillout Mix to add to the package. Filling out the remix package, Japanese producer Hideout (the other half of Hot Station) provides his trademarked sound with old school house piano stabs and a funky synth and bassline that holds it all together. This remix has 'floor burner' all over it! This isn't that beatport labelled progressive house. This is the real deal that you will be armed and ready to drop into your sets! Stay tuned for 19BOX RECORDING turning 100! Well, 100 releases that is! After releasing the 'Ready For Summer EP' with Sergio Pardo on PARK LIMITED MUZIK, Oscar Gs comes back with two awesome original tracks for 19BOX RECORDINGS through his collaboration with Albert Ballart. This time their studio wizardry has delivered several tracks that aim more towards the commercial sphere of dance music, with powerful melodies and vocals. Bulgarian based producer Allan Zax steps up to remix 'Give Me', stripping back some of the synths and letting the drums and vocals to the forefront. On 'Close', our favourite 19BOX producer Genuine Fakes from Tokyo, Japan has provided us with two action packed remixes that are full of Yin and Yang.